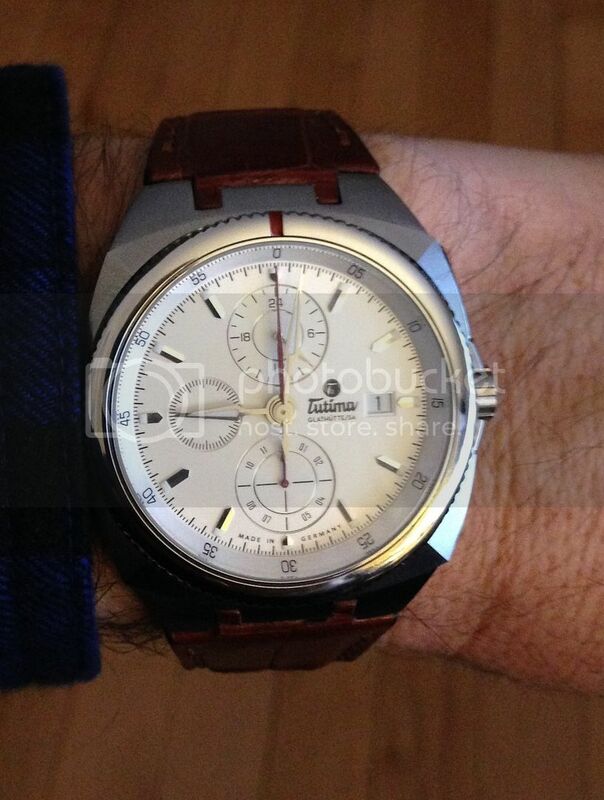 Finally got my hands on a Tutima Saxon One chronograph. Very nice! Love the dial and hands, and especially the way the chrono pushers are integrated into the case. Review to follow in a few days. Previous Topic: How can you tell if Sinn bracelet is tegimented?